Покупается в Магазине Близзард. Все средства с продажи будут отправлены в помощь пострадавшим от урагана Сэнди. Нужно одеть на себя эту косу и атаковать мили-атаками, чтобы получить шанс прока. ну в принципе я согласен сочетание хп и статов не очень.с главной оп абилкой Красться скорость не нужна.купить его можно только потому что он красивый ,ну или кто то действительно хочет помочь Америке. вообще пет довольно сильный. но если у противника нет животных/механизма/зверька, то он становится почти-что бесполезным. "Don't pet these kittens without fireproof mittens!" Now I want to buy some Kitten Mittens. Meeee-ooooww! Currently unavailable! 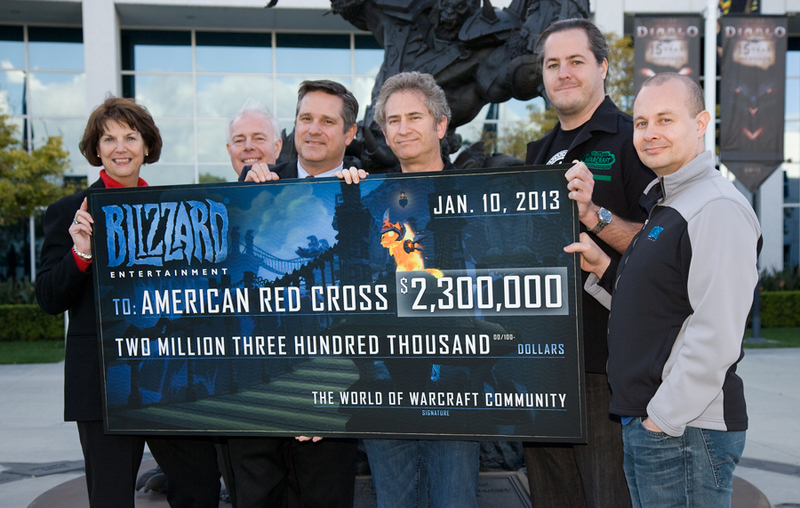 But will be purchased to support Charity Drive for Superstorm Sandy from the Blizzard Store. Prowl is currently "wasted" by Immolate ticks. I reccomend using it when Immolate isn't on your target for stronger Claws. Mine doesn't have Rend yet, but I believe Prowl only affects the first hit of the 2-3 ones. A very adorable little kitty. Idle animations include paw washing (as its fire would that be a steam wash then?) and playing with its tail. The second animation is very cute - it seems to suddenly notice its tail, makes a swipe at it and rolls head over heels trying to catch it. It meows when clicked and the noise has a slight echo effect. Downsides to this pet - the idle animations continue to play while pet battling, its bizarre watching a kitty that's so confident in itself it sits there having a wash while being beaten up by various wild pets! Also, as another poster said, prowl seems a little screwy at the mo - it will proc from immolate which, while not a big issue, can be annoying. This kitty is an easy to level pet (I leveled mine to lv8 within a few hours) and at higher levels its a powerhouse. Combine this pet with Талисманчик and Дракончик Ониксии (as I had in one rotation of my Pet Battle Teams addon) and you have a group that will wipe the floor with just about anything! Would I recommend this pet? Hell yeah! Not only do you get an adorable battle pet that will ease your way to being a grand master pet battler, you also can bathe in the warm fuzzy glow* of having donated to charity at the same time. "The Cinder Kitten is now has increased health. It looks like that armor helps a little after all." If memory serves me correctly, Cinder Kitty's health has gone from 1319 to 1400 at level 25. Will check and confirm when servers are up and running again. After seeing this pet I had to punch a wall to make sure that I am still a man. Decent attack to dish out some numbers. Speed is in the average area where it can outspeed a reasonable amount of pets, but is still outsped by many others. Health is slightly low for a pet that has no way to restore its hp and does not belong to the pet families with mitigative passives. It's attacks do not really form a combo of any sort. The only obvious one is alterating between Leap and Rend, to make Rend always attack 1 additional time. The best 3rd attack to use along with Leap and Rend is Scorched Earth... it is a nice DOT with a decent duration, and as an elemental, you are immune to the backfire. Be careful though if you have a Magic pet on your team... Setting up Scorched Earth and switching to a megic pet can result in an awful lot of friendly fire. Prowl does not really work in conjunction with Leap and Rend, because you can not squeeze it between those two, and Prowl>Leap is not very powerful. Going Rend / Leap / Scorched Earth makes you pretty strong against Critter school pets, and the application of Scorched Earth itself can cause some serious damage to any Magic pets that you might be fighting. I think this is the best setup you can run with the kitty. If, for some reason, you would prefer MOAR DOTS, you can go with Rend / Immolate / Scorched Earth, but the only really good reason to maximize DoT damage is when you are using the Storm weather and Scorched Earth would disrupt that :P Plus, DoT reliant teams are easily countered by pets that have shield abilities. Running a setup with Prowl and Immolate is not recommended since Prowl gets consumed by Immolate ticks. Really I do not know what would I combine with Prowl since all the attacks that could possibly follow up are not particularly amazing. Cinder Kitten doesn't really fill any strategic niches and is generally just a pet that can deal some dps. It is not bad, but there are pets that do the job better. You can use it to cheese NPC pet trainers to start the battle off with a Critter pet for an easy kill, but that's about it. More precisely, the Магматический котенок's Base HP has been raised from 7 to 7.5; the breed id remains unchanged at 3. This results in a lvl 25 kitten having 1400 hp rather than 1319. A picture of the monster check being presented can be seen on the Магматический котенок's screenshots page here. Sadly, when I attempted to name him "MrBurns" I got the dreaded "That name is reserved. Enter a new name." error message. It made me sad. For developers looking for this pet's species id it's 1117. Игривые мурчащие пироманы. Рекомендуется гладить исключительно в огнеупорных перчатках!